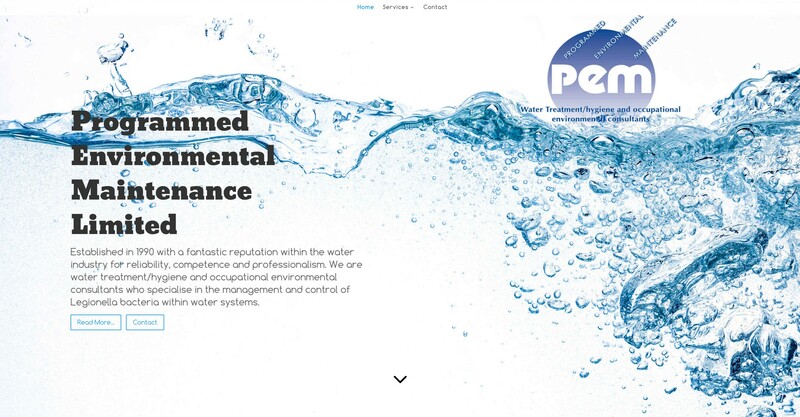 PEM are a company that perform water hygiene risk assessments and manage and control legionella bacteria in water systems. Their business is literally a matter of life and death so it’s important that their website presents all the key information to their clients clearly. We at Programmed Environmental Maintenance Ltd could not be happier with the service James provided when creating our website. The entire process was made very easy and the communication, advice and the final product James provided was to an excellent standard. We would highly recommend his services.